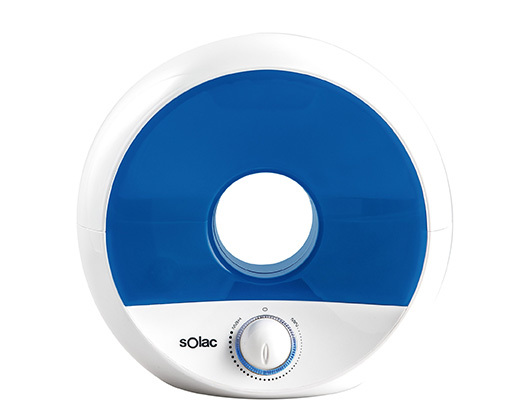 Home Products Solac Humidifier Plastic Blue 2L W "Ultra Sonic"
Solac Humidifier Plastic Blue 2L W "Ultra Sonic"
A humidifier with a light that accompanies you at night so you can have sweet dreams. Ultrasound technology atomises water at ambient temperature. Silver ball anti-bacteria filter that prevents the presence of harmful microorganisms in the water and the vapour. Tank for aromas and essences. Night light with on and off switch. Vapour outlet regulator adaptable to the humidity needs of each room. From 10-20 hours operating time. Tank with 2 litres of maximum capacity. Easy-to-remove tank with a handle. easy filling and installation. Blue led to indicate a full tank. Safety system: stops operating when the tank runs out of water.